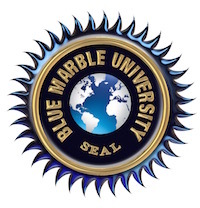 At Blue Marble University, we never have any General Education Requirements…that’s right, undergraduate degrees with “no general education requirements”, and no second language requirement either. Our undergraduate programs are so unique, you graduate with a doctoral degree as in a little over the time you will spend for a traditional Bachelor’s Degree. Some of our programs are even shorter. We have terrific undergraduate programs for High School Graduates, Homeschoolers, and those seeking advance placement. In fact, you can begin any of our terrific programs if you have completed the 10th Grade or equivalent, and are at least 16 years old!! Our 5 year programs include 2 years introductory/preparatory education comparable to a BA, with 3 years of graduate level courses. (8) Any Program- We can craft anything for you that is not shown here, in any field of study. If you are a High School graduate, Home Schooler or other non-traditional student, please write us about the 5-year fast track program you would like for yourself which is not listed above. 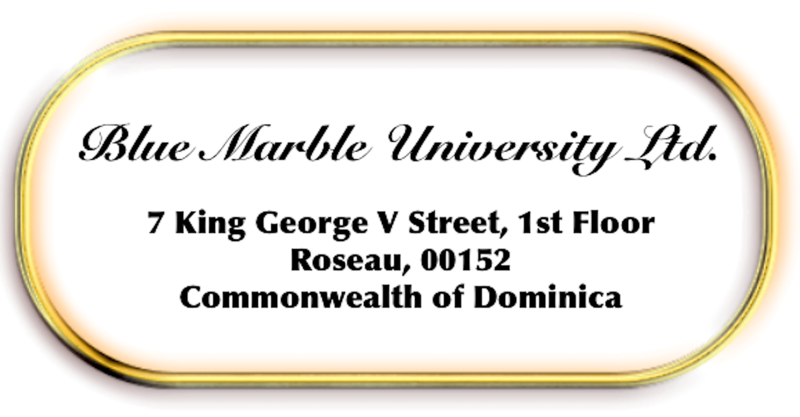 Blue Marble University does not offer any stand-alone Bachelor degrees except for our 3-year B.S. in Computer Science. We don’t believe in them. The US Department of Education has called for the abolition of “seat time”, the outmoded requirement that an undergraduate degree should be 4 years, which generally includes 50% of filler courses irrelevant to the student’s interests. Yet, these traditional legacy degree programs continue to be offered elsewhere. But by eliminating two years of general education requirements, we can deliver fast track combination Bachelor/Doctoral degrees and other fast track degrees you can enter right from high school. For our 5 year combination degree programs, instead of wasting two years of your undergrad time taking worthless and useless general courses we give you a two year concentrated schedule of courses relevant to your specific program followed by entry into our PhD programs so you graduate in 5 years with BOTH a Bachelor Degree and a Doctoral Degree. In about the same time it takes many students to graduate with a Bachelor degree, you will have a Ph.D. or D.Sc. degree equivalent to a regionally accredited US college or university. For some programs, you can graduate with a Bachelor Degree combined with a Master’s Degree in LESS time than it takes for a regular B.A. degree elsewhere. Many college students are unhappy about taking general education courses unrelated to their major. Why pay good money for courses you are not interested in nor useful. Time spent on taking more courses in your chosen major would be more beneficial, and that’s what we give you. With our programs, you can avoid all general education classes and concentrate on your interest. Why do colleges continue to require general education courses anyway? Why should a math major be forced to take history, or a history major be forced to take math? And how helpful are all those second language courses??? Not much. Colleges continue to mandate your taking worthless courses because they have a whole lot of professors that they have to keep busy. This is old-fashioned education to be sure. These colleges are interested in their own profits and maintaining the old fashioned status quo, not in serving their students. Many times you cannot even graduate from such colleges on time because this or that required general education course was “full”. General education courses? That’s what high school is for!! People get their general education is high school, it is not necessary to continue with a more general education courses as an undergraduate preparing for a professional career or further training in their chosen field. General education courses are a waste of time and a waste of money. We do not waste your time and we do not waste your money. Rather, we align ourselves with Brown University, ranked #14 in the List of Best Colleges and Universities, which has no general education requirements for undergraduates. That is the modern approach. We believe that in eliminating all general education courses from our Curricula, students have more time to concentrate on courses that advance the program and advance their better understanding of their chosen field of study. 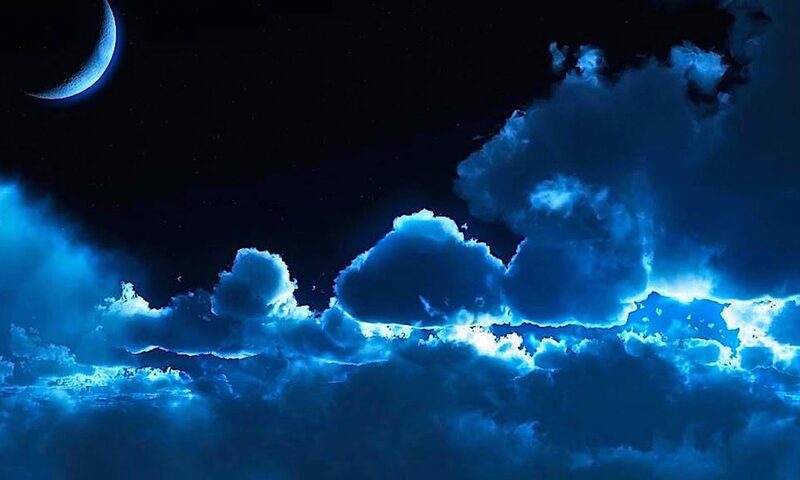 We are writing the book on online education….